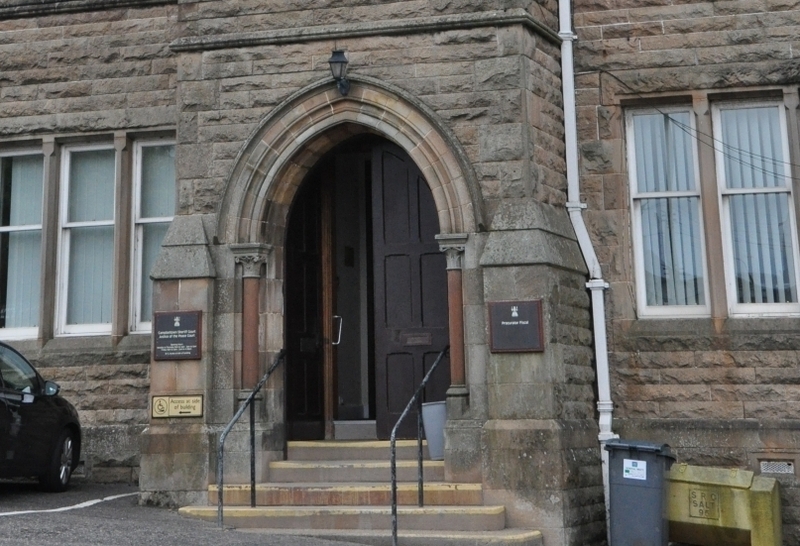 An Ardrishaig man who ‘punched a DVD player four times’ off a woman’s head pleaded guilty to assault part way through a trial. 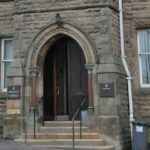 Fraser James Mullany, 26, of 14 GlenFyne Crescent, had pleaded not guilty to repeatedly striking the woman on the head with a DVD player, seizing her on the body and punching her on January 10 and 11 at a Campbeltown property. Mullany changed his plea to guilty after lunch last Wednesday and his not guilty plea to a further charge of behaving abusively was accepted. 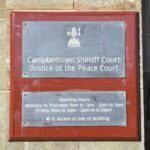 The offence originally came to light when Mullany turned up, intoxicated, at Campbeltown Police Office on January 11 at about 8.30am. 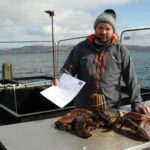 He asked officers if they could give him a lift home to Ardrishaig as he had no money. Subsequently Mullany told them he been in a fight with a woman and officers rushed to her address where they found her conscious but very shaken. During the Campbeltown Sheriff Court trial, graphic pictures of the woman’s injuries were projected on screens. These included a huge bump on her forehead, long red weals on her neck and arms and marks on her back, all sustained in the attack. Giving evidence during the trial the woman said the pair started arguing after drinking alcohol and added: ‘We were sitting listening to music and drinking Buckfast. The fridge was full of drink. ‘He was roaring and shouting and told me he was going to kill me. ‘He punched holes in the doors and it took four hours to get him out. Mullany’s defence agent, Ruben Murdanaigum, claimed that injuries on Mullany’s face were caused in the fight. The court was told the woman has a long history of violence, including six convictions for assault. The woman added she was not as strong as Mullany and all she could do was push him away. She said at one point she thought he was trying to rip a contraceptive implant out of her arm. Sheriff Simon Fraser deferred sentence untll Monday April 29 and called for social work reports and a restriction of liberty assessment.